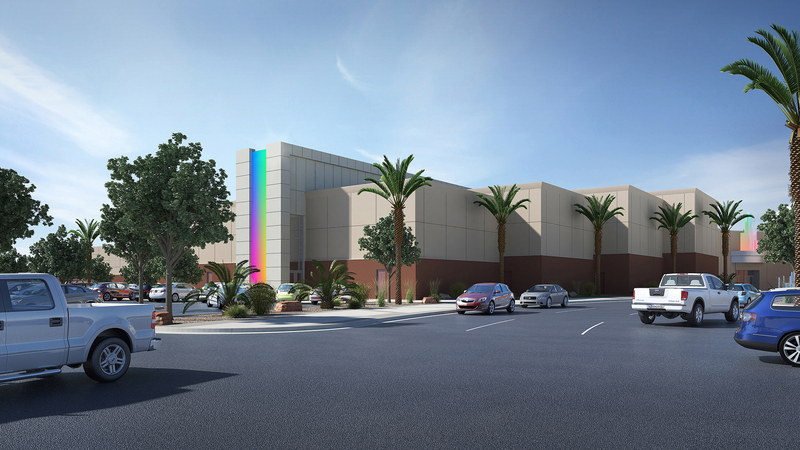 The Coyote Entertainment Center was designed to be a new hub of family entertainment for the Tachi-Yokut community and the surrounding population in the city of Lemoore, California. This project is the most recent addition to the Tachi Palace Casino that is owned and operated by the tribe. In sensing a need for more family-oriented activities, the tribal council reached out to FFKR to take on this project. 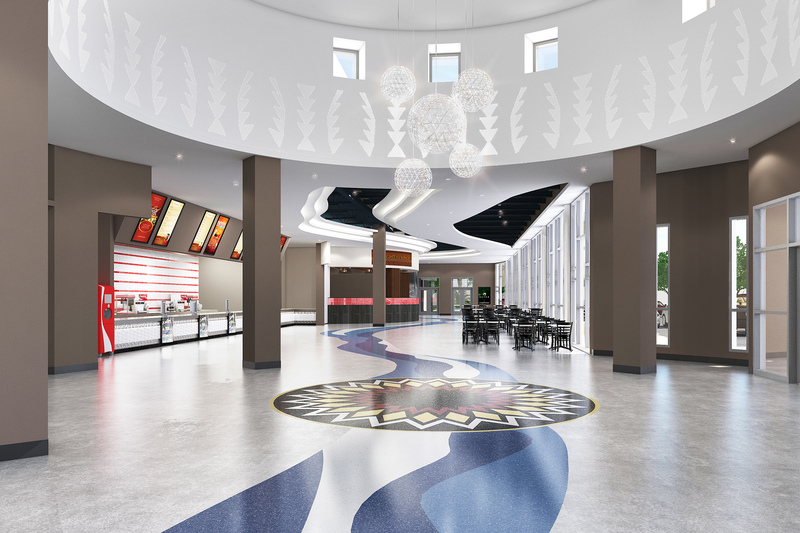 We worked with the council and other members of the community to design a center that would have broad appeal and incorporate references to Tachi-Yokut Tribal art. 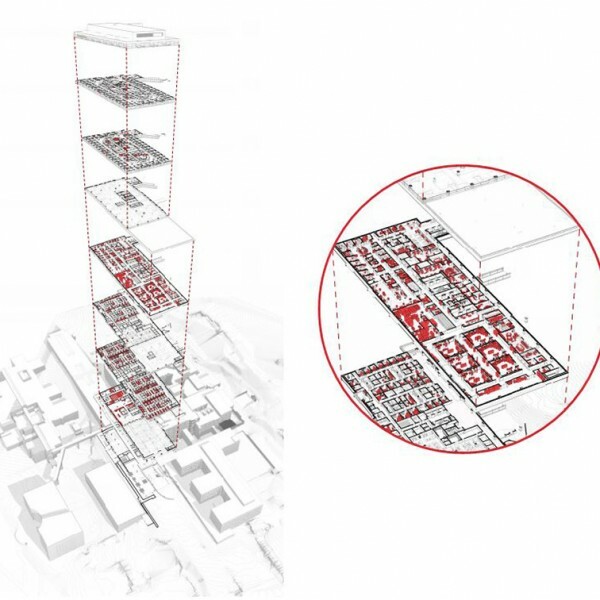 Entertainment areas include the Palace Cinemas, Tachi Lanes, Mit’si Little Arcade, Red Bud Billiards, and Cho’xil Eagle Lounge Sports Bar. Palace Cinemas features luxury seating and state-of-the-art Christie Pure laser projectors and QSC Theater and Dolby Atmos cinema sound systems. The cinema has eight movie theaters with a total of 1,150 seats. 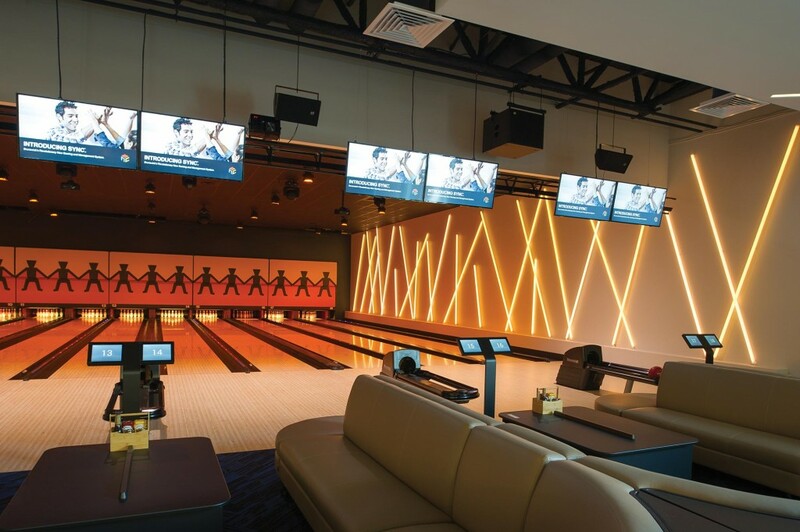 Tachi Lanes is designed for both league and public games with 24 league bowling lanes, and six boutique bowling lanes for private rental. Mit’si Little Arcade includes 50 games. Red Bud Billiards with a total of nine tournament style tables. Cho’xil Eagle Lounge Sports Bar with a full-service kitchen that serves all of the activities and a full-service bar for the adult patrons. There are also two rentable party rooms that patrons can use for private parties. 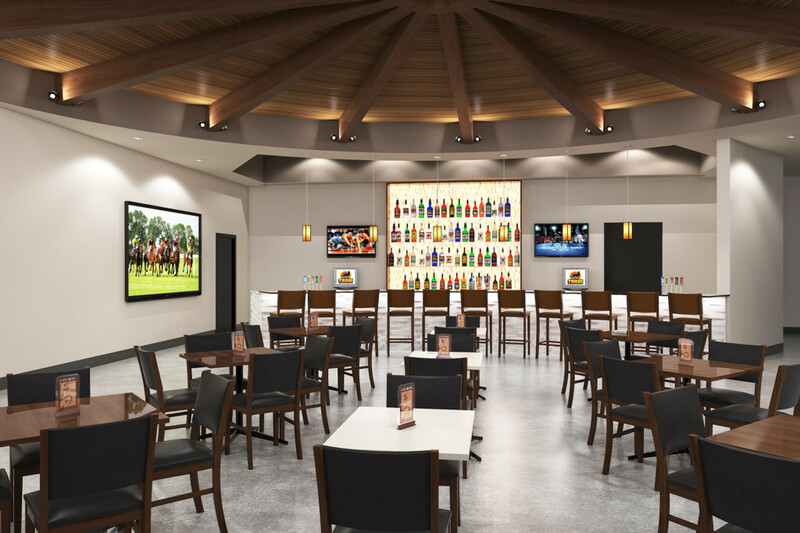 The Coyote Entertainment Center features a beautiful main concourse area with a large rotunda at the center with warm finishes, an intricate terrazzo floor, and a dynamic multi-layered ceiling. It opens into the main concessions and theater ticketing area for the facility and has seating for the public where they can enjoy some food and wait for their movie to start. Tachi Lanes has 30 state-of-the-art bowling lanes. 24 lanes are dedicated to league style and recreational bowling. Six boutique lanes are separated out for private parties. There is also a private party room that directly opens to the boutique bowling lanes. The bowling areas also has full food service. Another great feature of the entertainment center is the full-service sports bar. Located right off the main concourse and near the bowling lanes, it serves not only patrons at the bar but the bowling area as well. 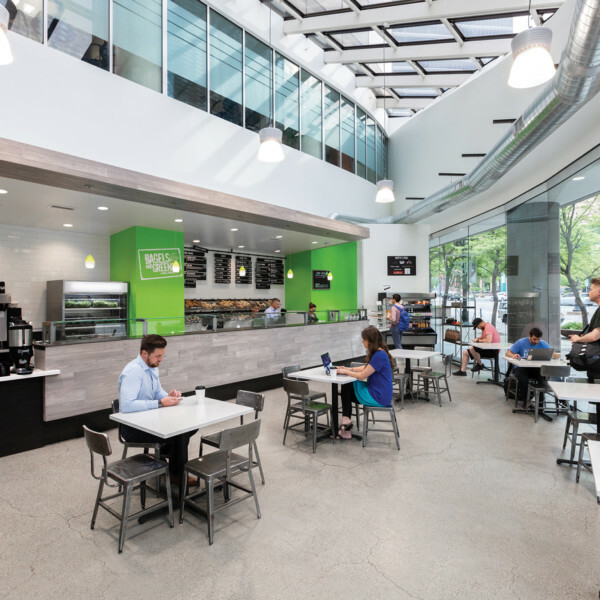 It is a great spot for adults to relax and enjoy a drink and some food while the youth enjoy one of many family-friendly activities. The Palace Cinemas features an eight-screen movie theater, with a total of 1,150 seats. 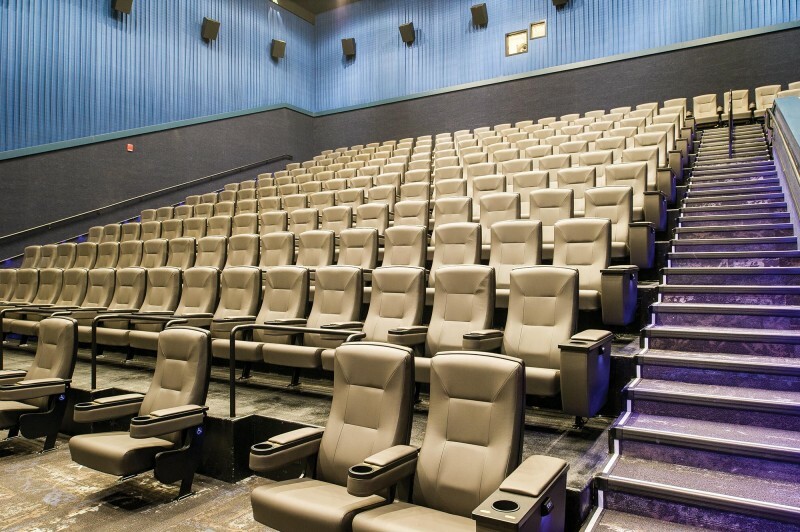 There are two, 50-seat, luxury lounge reclining chair theaters, with one of the luxury and one of the large house theater featuring Dolby ATMOS sound and 4K laser projection. Aside from normal concession fare, the theaters also have access to the full menu of the bar and bowling lanes. The entertainment center features a large billiards room. This area has nine tournament-style pool tables as well as its own full-service bar. 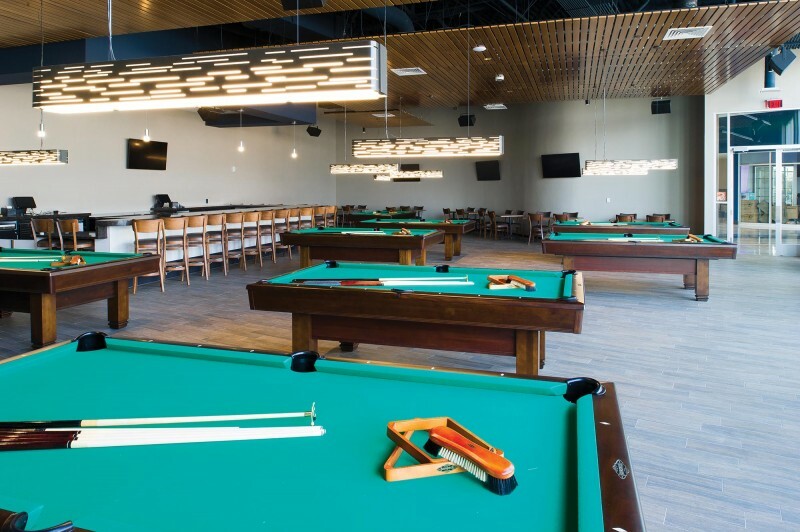 There is plenty of seating around the perimeter of the space for patrons to enjoy food and drinks while watching or participating in a game of pool.